Festivals have changed considerably over the last few years. With the world becoming more conscious around health and fitness, so it’s not a great surprise that instead of that extra bar yoga tents and juice bars are popping up at festivals all over the UK. And what a great way to cure a hangover! So that’s how I found myself WITH a hangover doing the downward dog in a sloping yoga tent. I was at Bestival for the weekend (Friday – Sunday) but spent the Friday night drinking literally everything that they had to offer (apart from the smoothies unfortunately) so yes yoga was good, it was just those downwards dogs that were making me feel like I may have still been drunk! But after a ‘Rise and Shine’ yoga class, a smoothie and some gorgeous Pip and Nut with bananas and strawberry’s I was ready to face the world (or the festival) again. 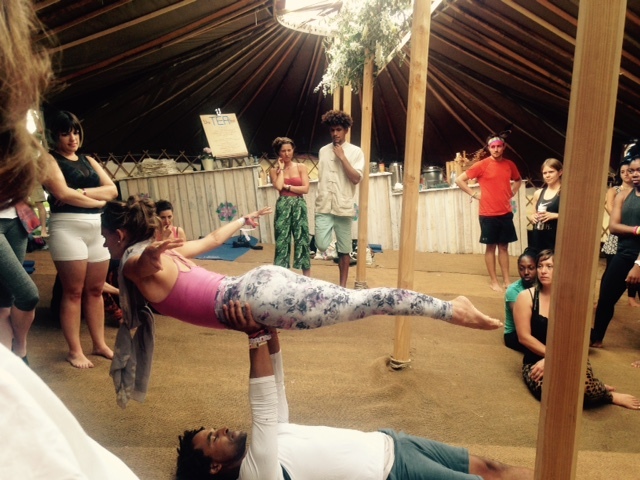 The Yoga yurt was located in the Slow Motion area – which is like a mini festival within a festival, and has a packed timetable of yoga classes, including acroyoga (an amazing thing to try), fitness classes with Frame, Hot tubs (!) and also spinning classes with live DJ’s. All done with a festival style of course – chilled out to the max! And Bestival is probably one of the most enjoyable and diverse festivals I’ve been to – there is everyone there from 16 year olds to families, and top headline acts to comedians. The one thing I liked is that you only had to move about 10 metres and there was something else there to entertain you, including acts singing in a mock-up of a living room and even dating events – it’s those little things which make your weekend. We also got lost in the woods several times, danced to 90’s pop, shook our thangs to the Chemical Brothers and had a chuckle at the various sketch artists which played in the comedy tent. And the Slow Motion area is the perfect place to chill – my friend even had a nap there! We grabbed juices, sat in the sun and watched the acts play on the stage, while we were people watching of course. We also made our own headbands out of real flowers and wire, enjoyed the various healthy treats on offer and watched festival goers make face masks out of real food. Anything goes at a festival!! So as autumn starts and winter draws ever closer these memories will have a special place in my heart! 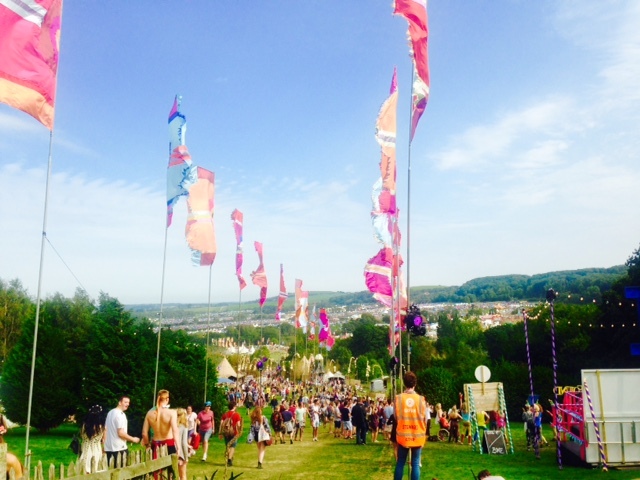 Until next year of course…..roll on festival season! !